Your Brand is not just your logo/tagline; it is your reputation - built on customer trust - and is your most valuable asset. Trust our process… you’ll love the results. We analyze and evaluate you, your goals, your business/organization, market trends, target audience and competition. Together we then define your identity - the essence of your brand: your vision will project, your mission will excite, your values will differentiate, and they all will sync with your guarantee. 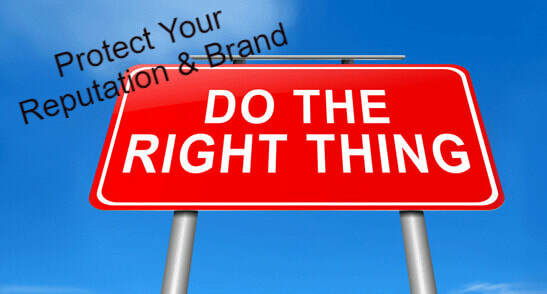 We support, monitor, adjust to ensure you are achieving your brand goals. And in today’s world of constant business breaches and risks, we have added a new dimension -- we will protect, preserve, and enhance your reputation.